1 ) Design a necklace: Use a brooch as a pendant by attaching it to a diamonds by the yard, pearl, tennis necklace or any chain. Another idea would be to wrap the necklace or strand of pearls closely around your neck and creatively apply the pin. 2 ) Add sparkle to an evening bag: Create an intriguing look by pinning a brooch onto your clutch. For additional sparkle, pin two or more smaller and similarly themed brooches together. 3 ) Instant statement jewel: Apply your favorite diamond brooch to a thin ring or band to create an instant cocktail ring or place one on a wrist band made of fabric to be worn as jeweled cuff. 4 ) Secure your scarf: Wrap a colorful scarf or choker around your neck and secure it in place with a brooch for a French chic look. 5 ) Pin a brooch on your waist: A growing Hollywood trend is to wear a brooch directly on the waist of a dress or gown as did Eva Longoria at the 2011 Golden Globe Awards. Another idea would be to wrap a scarf around your waist and secure it with the brooch itself. 6 ) Compliment your head piece: Add a little flair to a casual fedora, floppy hat, beret, cabbie-style hat or just a plain cap by pinning a brooch onto it. Fond of the gypsy inspired look? Apply a sparkling accent to a turban headband by attaching a brooch to the center. 7 ) Use one as a hair pin: Yes you heard right. 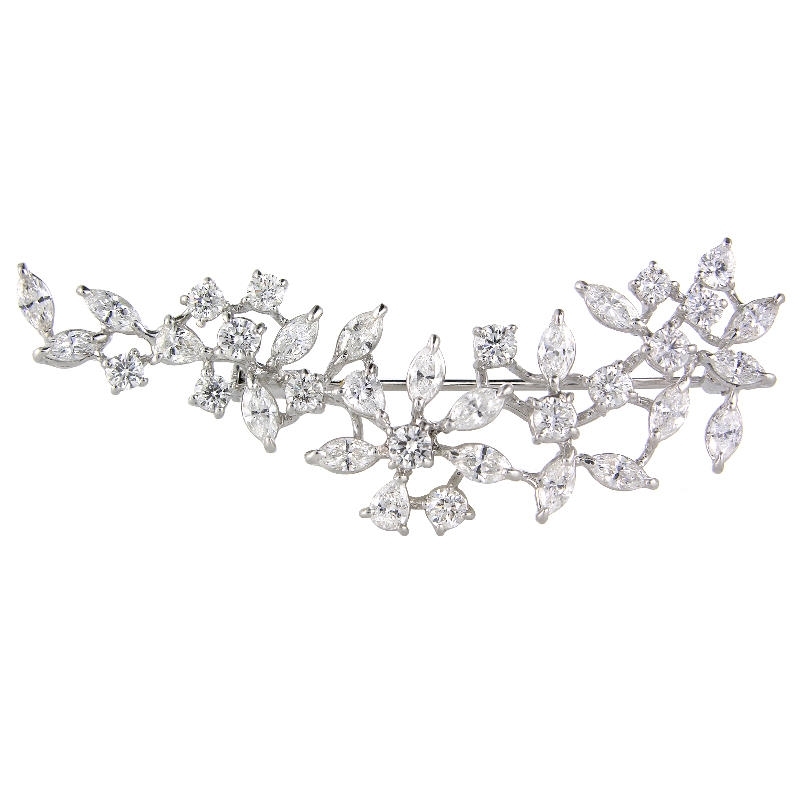 After styling your hair, carefully attach a brooch for a glamorous look. This works best with styles such as a bun, french twist or sleek pony tail. Try holding it in place by using bobby pins, attaching it to ribbon and weaving it in your hair or your own method as most brooches weren’t designed for this. 8 ) Instant wardrobe alteration: How many times have we bought an article of clothing knowing the “fit isn’t just right”, but we’d figure out how to work with it later? A well positioned brooch can take the place of a permanent alteration. Fashionably cinch up an over-sized cardigan, sweater, dress or even a long t-shirt with a brooch. 9 ) Make it a focal point: Add a brooch to the bodice of a strapless gown or place one at the lowest point of a neckline on a low cut top or dress. 10 ) Adorn your shoulder: Break tradition by applying a brooch to the shoulder of any jacket, blazer or even a turtle neck. 11 ) An alternative to buttons or clasps: Fasten a jacket, cardigan or artfully draped scarf with a sparkling brooch. Firenze Jewels’ Jeffrey Levin, together with the New York City 47th Street Business Improvement District announced a relief effort aiding the victims of the earthquake and tsunami that struck Japan on March 11th. 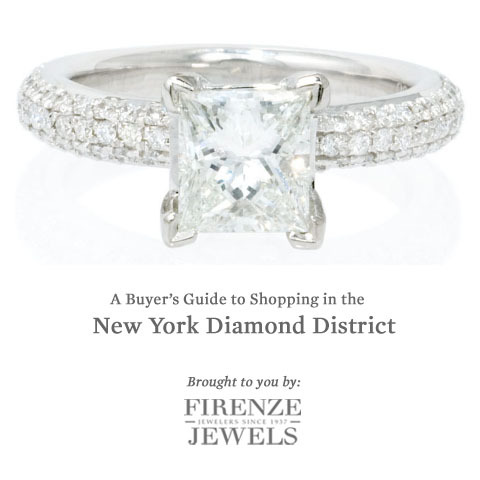 The 47th St BID works with businesses in the New York City Diamond District area. They are trying to organize with as many of the 2,600 businesses to donate $1 per sale to the American Red Cross Japanese Earthquake Relief Fund. The relief effort is expected to last until the end of April. As a major supplier of pearls to the American market and the fourth largest market in the world for American jewelry exports, Japan has played an integral role within the jewelry industry as well as the New York City Diamond District for decades. Our hearts go out to all those affected by the devastating tragedy in Japan and we hope our joint contributions play a small roll in rebuilding their lives and pulling through the many struggles ahead. In the spirit of Valentine’s Day, we would like to feature our collection of diamond heart shaped pendants and other heart shaped Valentine’s Day jewelry gift ideas that have caught the eye of buyers in our showroom. The current availability of each piece is listed below. Please note that you must first inquire for a price quote on some of the unmarked designer pieces. Others marked unavailable can always be special ordered. Click on the image for further details. Happy shopping! From antique/vintage to classic designs, designer engagement rings have a distinct and individual appeal that has captured the hearts of many soon to be married couples in love. Whether it’s the exquisite craftsmanship that goes into a particular piece or the gorgeous design conjured up by some of the world’s leading designers, Firenze Jewels wants to review a few the most attention grabbing diamond designer engagement rings. Pieces such as this stunning antique style Charles Krypell designer engagement ring have garnered much attention since they’ve made their first debut. We have found that diamond engagement rings with an emerald cut stone are a die hard favorite for many discerning women. Most savvy and trendy buyers looking at diamond engagement rings are probably already familiar with patented Christopher Designs Crisscut emerald designer engagement rings. 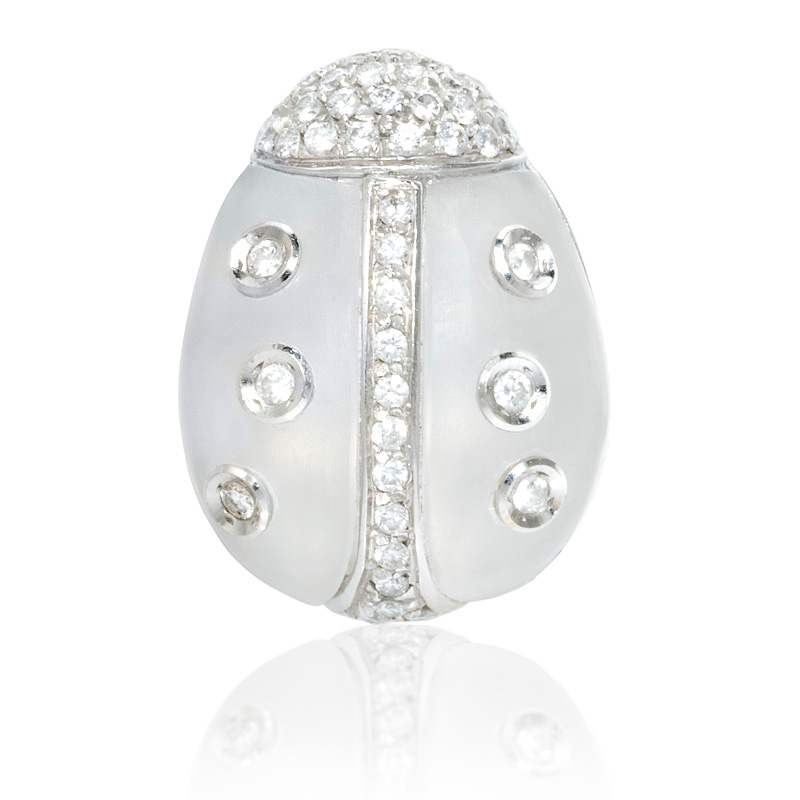 Simplicity and elegance are harmoniously combined in this one lovely and sought after piece. Renowned for their bold and unique diamond jewelry and designer engagement rings, pieces such as this jaw dropping two tone gold Le Vian designer engagement ring featuring 3 gorgeous fancy yellow diamonds are the reason why Le Vian designs are consistently anything but ordinary. 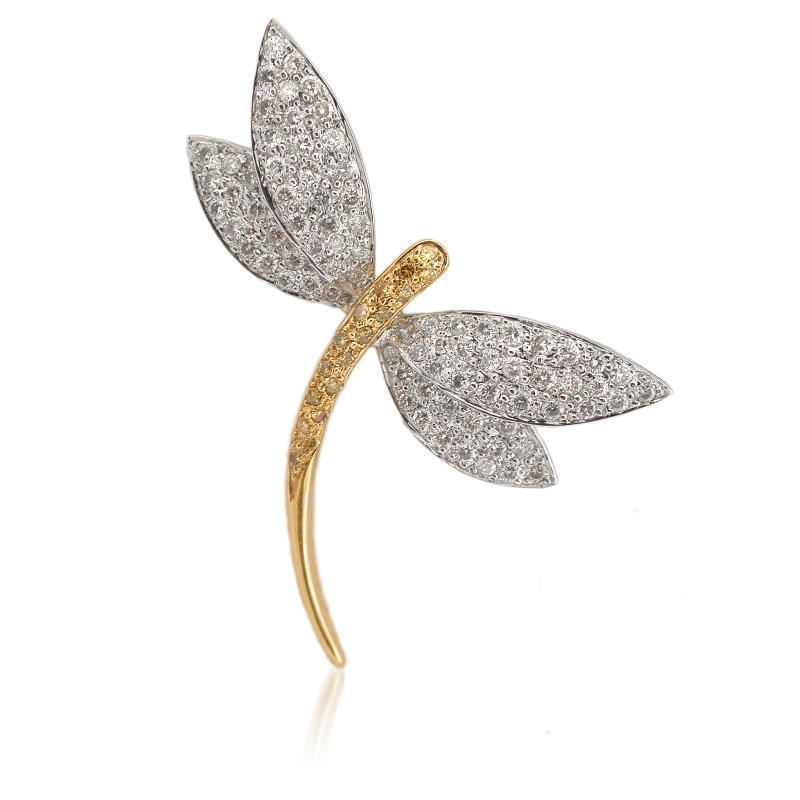 A true expression of all that is timeless and classic in diamond jewelry. Of all the antique style Natalie K designer engagement rings, this diamond engagement ring and wedding band set imbued with beautiful channel set round brilliant cut white diamonds has forever warmed the hearts of a select few couples in love. When celebrating one of life’s most treasured moments, it is no wonder why diamond jewelry aficionados have naturally been drawn to Ritani designer engagement rings. A standard of excellence and elegance, the diamond engagement rings found within the Endless Love, Ritani Setting, Masterwork, Bella Vita, Ritani Modern and Romantique Collections are exquisite works of art. The detailed craftsmanship that goes into Simon G designer engagement rings is a true testament to why the Simon G brand has become a leader in the diamond jewelry industry. Remarkable pieces such as this antique style diamond engagement ring featuring a superb center mosaic of round cut white diamonds surrounded by stunning pink diamonds is the reason why so many have fallen in love with Simon G.
1) Your time is precious. Shopping for jewelry online offers you the possibility to look at hundreds of pieces without going from store to store searching for that perfect diamond engagement ring. No need to worry about traffic, long lines, bad weather and especially the inevitable rush during the upcoming holiday season. 2) Many of the more developed jewelry websites present their products in a professional manner allowing you to make a better and well informed buying decision between 2 pieces or another competitor. 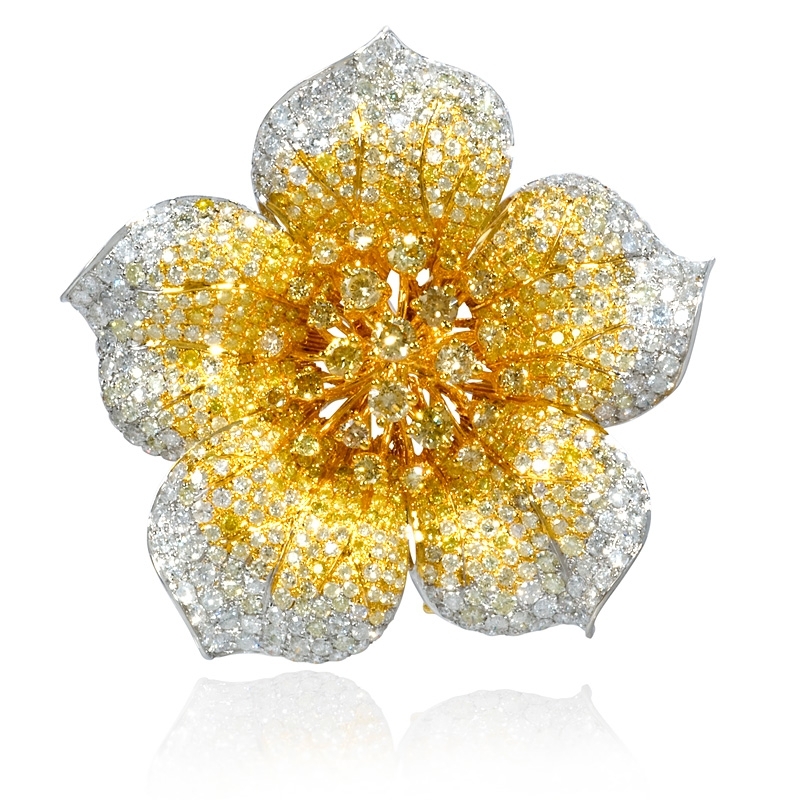 3) If you want a wider selection to choose from, browsing a jeweler’s online gallery lets you see all of their unique designer pieces, even ones that may be out of stock. Don’t let that perfect diamond necklace slip away because someone else got to it first. 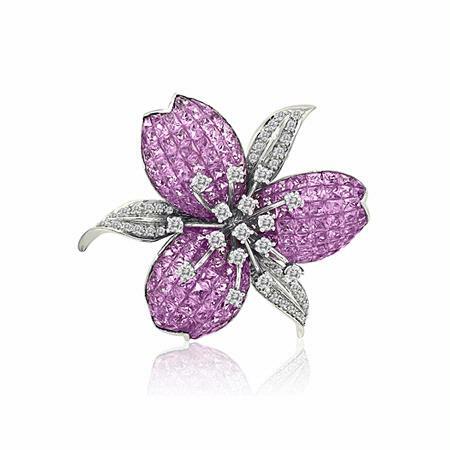 Ask the jeweler if the specific piece you are looking for can be special ordered. 4) In the comparison shopping age that we live in, many times you will be able to find reviews, ratings and/or testimonials by other real clients about a company online. This information is invaluable before proceeding with your purchase. It’s something that would be harder to gather when window shopping at other brick and mortar jewelers. 5) Last but certainly not least, due to the highly competitive nature of the internet, you’ll very likely find stunning diamond jewelry pieces being sold online below retail price; and who doesn’t love a bargain?